If you’ve ever wondered how Marvel Studios have been making ungodly amounts of money at the multiplex, it’s primarily because they like to roll the dice. It goes all the way back to the casting of “Iron Man” when, out of all the A-list talent in the world, the studio chose the guy with multiple arrests and a cocaine problem from “Ally McBeal.” The result was one of the biggest movie franchises of today and the emergence of one of today’s most beloved Hollywood stars. Next, Marvel decided to take another leap of faith by providing the first on-screen team up of their established franchises. The result was one of the biggest movies of all time and one of the best comic book and summer blockbusters of all time, thanks to Marvel choosing one of nerd culture’s most beloved figures to helm the project. 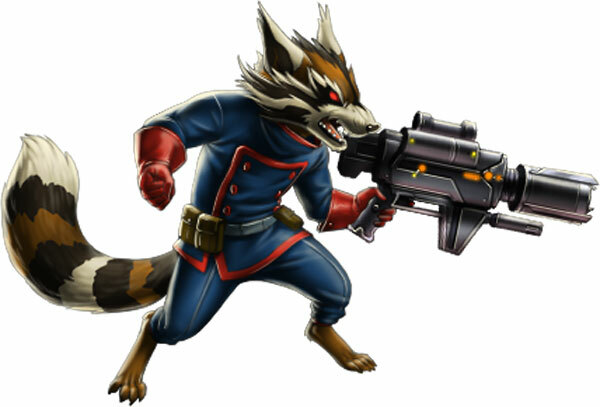 Now, Marvel is rolling the dice again with the origins of intergalactic heroes including, but not limited to, a giant tree and a talking raccoon. Yes it still sounds ridiculous, but Marvel’s latest comic-to-film venture may be its best to date. “Guardians of the Galaxy” is hilarious, exciting, cool, and entertaining without end (until the movie ends, at least). The “Guardians” in question start with abducted earthling turned scavenger Peter Quill, AKA Starlord (Chris Pratt). 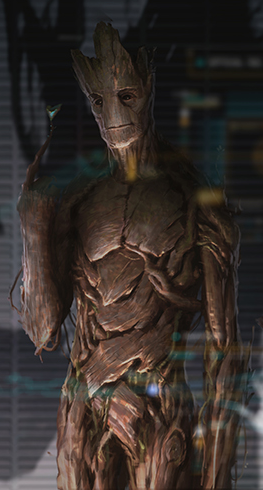 He stumbles upon a mystical orb that gets him arrested and sent to jail, along with green-skinned assassin Gamora (Zoe Saldana), family man turned savage Drax (Dave Bautista), bounty hunter Rocket Raccoon (Bradley Cooper, heard not seen) and his bodyguard/tree Groot (Vin Diesel, also heard not seen). It turns out the orb is being hunted by galactic warlord Ronan (Lee Pace) and his assassin companion Nebula (Karen Gillan), not to mention Quinn’s boss Yondu (Michael Rooker), Gamora’s associate The Collector (Benicio Del Toro) and government official Nova Prime (Glenn Close). The outlaws decide to team up and get the orb into the right hands before the galaxy goes up in smoke. Major credit should be given to writer/director James Gunn for bringing the fun back into Marvel movies. Not that the recent Marvel films haven’t had some puns or in-jokes here and there, but “Guardians” is the first Marvel film in a while not to have a dark undertone. After years making B-movie tributes, Gunn finally gets the freedom (and the budget) to make thrilling fights on foot and in spaceships, along with creating some memorable characters. If audiences are looking for evidence of Chris Pratt’s talent, his performance here is a damn good example. His “funny fat guy” persona from TV’s “Parks and Recreation” has morphed into a buff, sly, loveable action hero as Starlord. Pratt’s goofy and cool at the same time by never losing confidence even when his character is mismatched against galactic goons. Fortunately, he has Saldana in full badass mode as Gamora. Saldana has had a couple of roles as the tough female in an action movie (“The Losers,” “Colombiana,” and “Avatar”), and she hits all the right notes (and the right bad guys) here. Cooper sounds like he’s having a ball as the trigger happy Rocket, and Diesel makes just 3 words of dialogue count in the scenes he needs to speak. Even former WWE star Bautista manages to provide depth to Drax and make him as treasured as the rest of the group, which is impressive considering the depth he had at his old job. The cast of “Guardians” is a mixer of grade-A talent, from the awesome southern danger of Michael Rooker, the flamboyant Benicio Del Toro, the villainous Lee Pace, and even John C. Reilly helps out. As far as space-set science-fiction movies, this doesn’t have a lot in common with the likes of “Star Wars” or “Star Trek.” From the cinematography and design of the sets, “Guardians of the Galaxy” looks like if “Prometheus”-era Ridley Scott directed an episode of “Firefly.” What makes it so original and so refreshing this summer is how fun and exciting it is. The biggest Hollywood hits of the summer have been dark sequels or limp franchise entrees. “Guardians” is here for enjoyment and not as an ad for the next Marvel movie. There’s seems to be more heart and humor than in “The Avengers,” as it’s jokes and action are for the casual audience and not just those familiar to the comics. It stands alone as an awesome, wild spectacle, proving again that Marvel knows when to bet big.